Al Fares provided shipping services from Dubai and Sharjah to most African countries cities, whether it’s shipping to North Africa, Central Africa or the African countries bordering the Atlantic. Ghana, Kenya, Mombasa, Tanzania, Senegal, Dakar, Guinea-Bissau. In accordance with the principle of providing our customers with suitable shipping solutions, whether they are individuals or companies through air freight and shipping. Al Fares Cargo Services provides a variety of logistics services and freight solutions to meet your business needs. At Al Fares, we have enhanced our capabilities to meet your desire to provide all air cargo and shipping solutions for container and general cargo from Dubai and the UAE to African airports and ports. 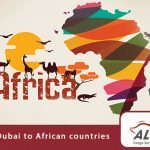 Through the provision of cargo service, cars, raw materials and other United Arab Emirates to the African countries. Ghana, Kenya, Mombasa, Tanzania, Dar es Salaam, Nigeria, Addis Ababa, Lagos, Senegal Dakar, Guinea Conakry, Sierra Leone Freetown, Cameroon Douala, Congo Pontonier as well as many countries such as South Sudan, Ethiopia, Liberia, Madagascar, Malawi, Mali Mozambique, Togo, Uganda, Namibia, Niger, Rwanda, Burundi, Ivory Coast, Senegal, South Africa, Swaziland, Djibouti, Eritrea, Gabon, Gambia, Zambia, Zimbabwe, Equatorial Guinea, Guinea, Morocco and Libya in a record time and at reasonable prices The highest levels of customer satisfaction we have. We guarantee that you can carry out the shipment efficiently and quickly until the completion of the customs clearance process and delivery to you with all flexibility and attention and through the lowest possible cost in order to achieve a competitive supply chain that supports your business. As part of our comprehensive program to provide and support shipping services to Africa, we have dedicated the link between Dubai in the UAE with the African countries, where we provide links with the most important maritime shipping lines and international airlines. This is assisted by a specialized team in the field of air freight and maritime expertise and know-how of various types of shipments to provide the necessary assistance to customers in the transport of cargo wherever and to all destinations, both in Africa. We always strive in our logistics services to provide the best shipping, transportation and customs clearance solutions, complete packaging and storage operations, supply documentation for shipping and export, and provide cargo insurance services within the competitive cost framework. Providing shipping services from Dubai, Sharjah and UAE to major ports in Africa. Receipt and delivery of goods from door to port or airport required in most African countries. Providing fast air freight solutions from Dubai and Abu Dhabi to African cities and airports. Shipping in Dubai, personal belongings and excess baggage from door to airport via air freight. Provide partial shipping service in addition to full container shipping service of various sizes for all types of goods and materials in addition to refrigerated containers as well. 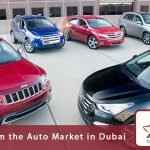 Providing the best services in the shipment of cars from Dubai and Sharjah to most African countries, whether in private or commercial, through shipping, in addition to shipping heavy machinery and spare parts. Providing cargo insurance as per customer requirements. Facilitate logistics requirements for international trade between Dubai and African countries. 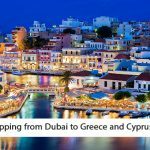 The possibility of processing all documents required to complete the shipping and customs procedures in the country of destination. The speed in the completion of shipments to achieve the desire of the customer. Follow-up receipt of shipments with suppliers through the shipping team. Al-Fares provides a sophisticated online shipping management system to save time and facilitate communication with customers and suppliers. The possibility of shipping all sizes and weights through the cargo collection service in the company’s warehouses through shipping. Providing temporary storage and collection services in our warehouses before shipping to your destination to different countries of the world. Whatever your shipping needs from Dubai to African countries please do not hesitate to contact us via our website and request a quote!